Another one of Erika. I was experimenting with some more complex poses, and I liked this one. It doesn't look quite right, but I like it anyway. 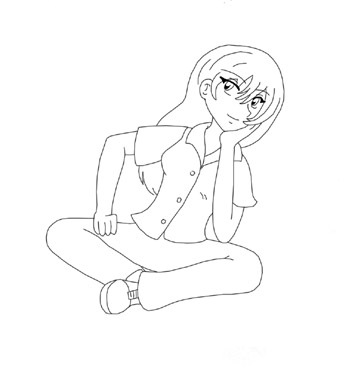 Erika is probably one of my youngest characters, besides Sakura, of course. I need to work on her hair, though. It looks too flat.